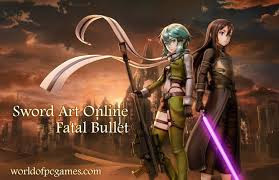 Dedysoftgame.com - In this world You will meet with familiar characters that often exist in game Sword Art Online more like Kirito and Sinon. 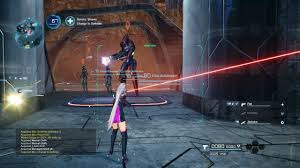 Even in the first mission you will also meet with humanoid AI rare named ArFA-sys. Sword Art Online will bring its players into the world of Gun Gale online where you can customize the character's avatar. Entering the game, players will first be taken through intro characters and many scenes of dialogue including game tutorials. 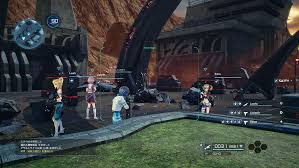 After that, players can start exploring the world of Gun Gale while performing various short missions, facing enemies, searching for certain items or treasures, helping to solve problems experienced by NPCs, and so on. 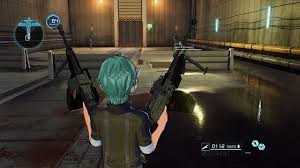 The more you progress to the next game level, the character skill in Sword Art Online Fatal Bullet will also increase. Characters can also utilize gadgets or items such as first aid kits, bombs, poison knives and so on. Each weapon has its own strengths and weaknesses. These weapons can be upgraded in many ways. Players are advised to interact frequently with other characters in this game because it can provide its own advantages. To face the enemy, you can customize characters such as equip it with various weapons such as swords, pistols, snipers up to machine guns.